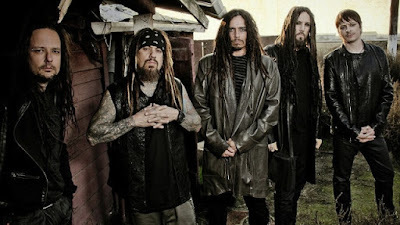 MetalRockNews: Brian "Head" Welch about new album: "It’s a kind of a back-to-basics Korn album"
Brian "Head" Welch about new album: "It’s a kind of a back-to-basics Korn album"
Korn guitarist Brian "Head" Welch was recently interviewed by Altpress.com, you can read some excerpts below. About band's next album: "The new material is awesome. It’s mainly Munky and I. We really wanted to go into what Korn does guitar-wise. James , Ray and I started riffing back in June of last year. Then we’d go on tour, come back and spend a week or two just jamming out. We started getting ideas pretty quickly once we started going into bigger studios and everything. It just went in that direction of the heavier sound." He continued: "It’s the most intense Korn music in a long time vocally [as well]. We were thinking about the live show when we were writing the songs. The last record had good songs on it, but we only played like two or three of them live, because not all of them really translated live. This album has more of that quiet/loud dynamic but also sounds current. The whole band is pretty happy with it. We’ll be announcing the album title, song titles, release date and some new partnerships soon." When it was mentioned that it’s hard to work in new tracks to the setlist without sacrificing the fan favorites, he replied: "Totally! It was easier to do with the last album because a lot of the songs just didn’t work live. It will be harder with this one because I can think of at least five of the songs that would be slammin’ in a set. I would love to play at least four of them to push the new album. I think [the new songs] are going to go over well, but you’re right, people have their memories of certain songs and they want to hear them when they come to see you live." 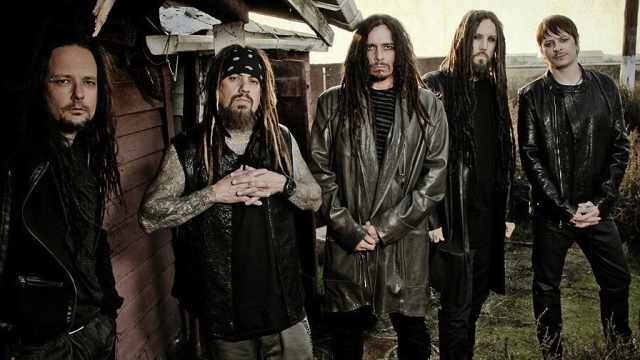 He added: "My hope is that as people get excited about the new album and the word spreads that it’s a kind of a back-to-basics Korn album, the core fans will really like it and we can play more of the material live and get a good reaction. But you do always have to play certain songs. Sometimes we’ll get bold and [skip] some of the big ones and people usually aren’t happy about that. [Laughs.] “What? You guys didn’t play ‘Freak On A Leash? !’” You know what I would like to do after this new record? Maybe we do a short run of smaller places and play the new record in its entirety."